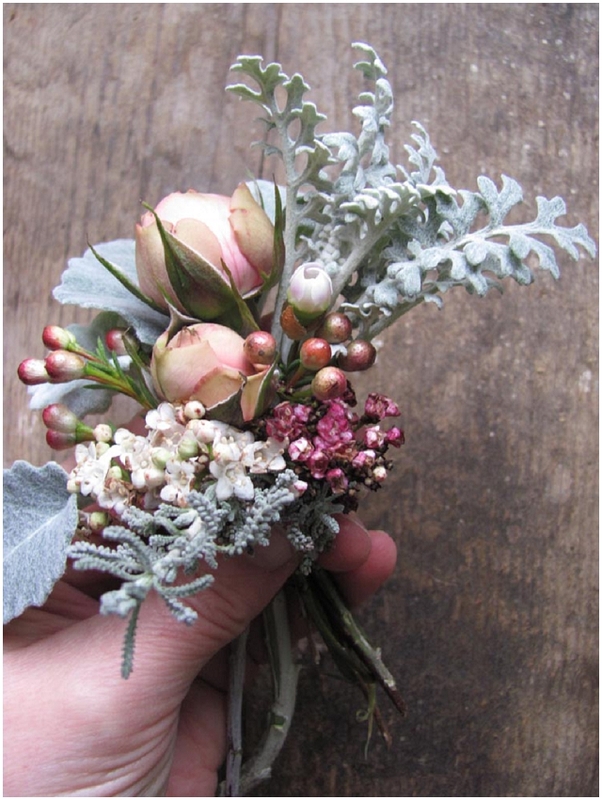 I love to share tutorials with you lovely brides-to-be and today I have a super great one from the lovely lady who’s the creative genius at the helm of The Blue Carrot. 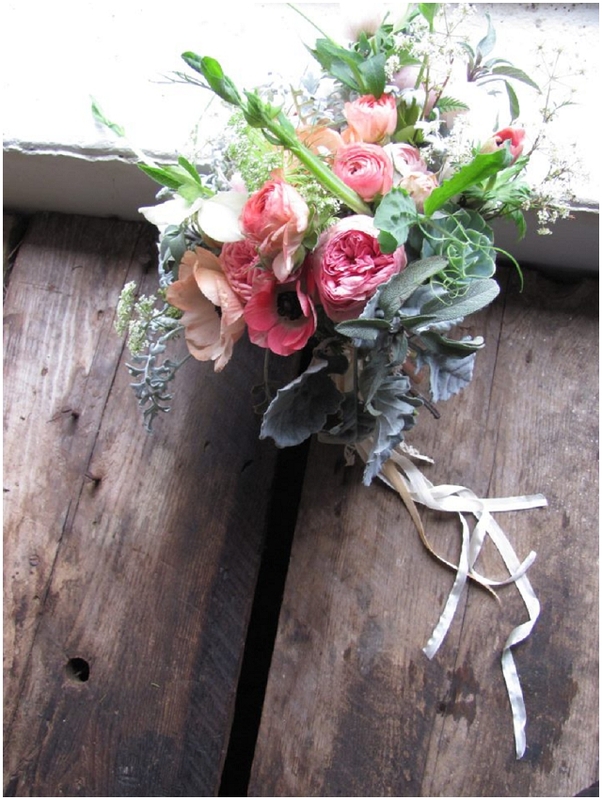 Susanne is absolutely passionate about flowers and her business and it’s such an honour for her to share this tutorial with us. 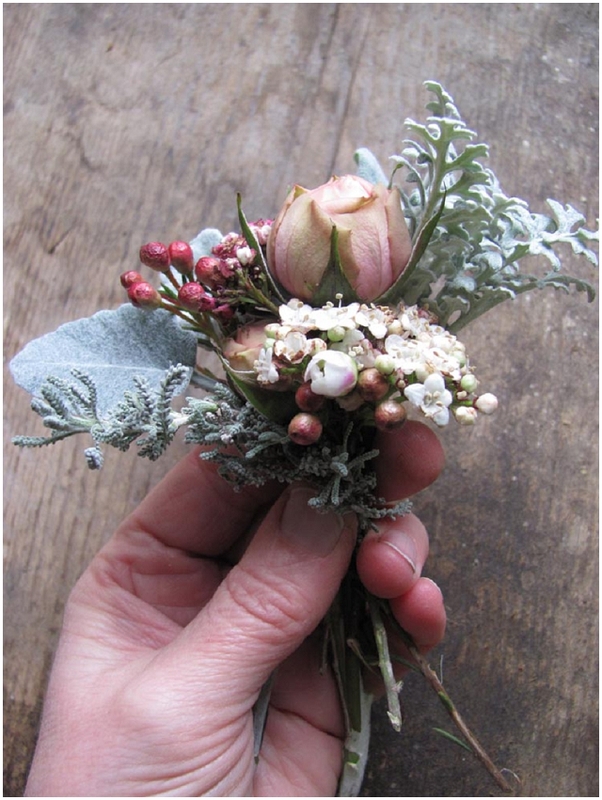 Button holes are not that hard to make, what makes them tricky is that you need to make them last minute to ensure they survive as long as possible out of water. 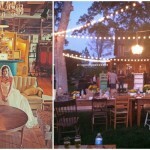 Not possibly the best idea for a stressed out bride! But if DIY is your thing you could even find it very therapeutic. 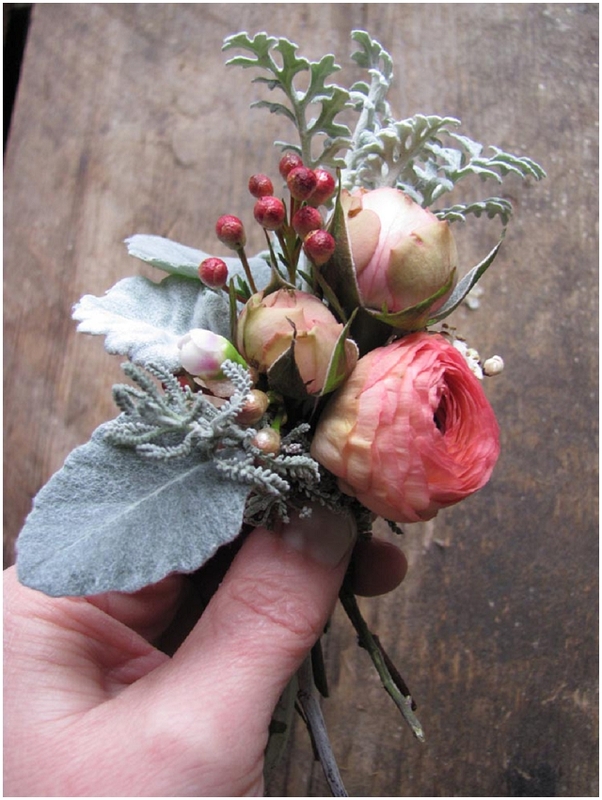 I’m not a fan of wiring and taping a buttonhole to death, they look much better with their natural stems showing. That’s my opinion at least. 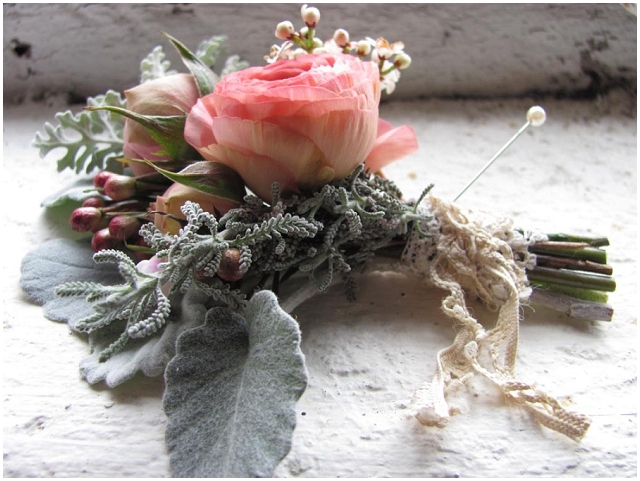 There are things that need wiring, like the ranunculus I’ve used here, as their stems are very soft. If you’ve never done that before, maybe something a little more robust. Experiment, go out there, try and don’t restrict yourself to the usual suspects. Let your imagination run free. A button hole is a great opportunity to show some attitude. 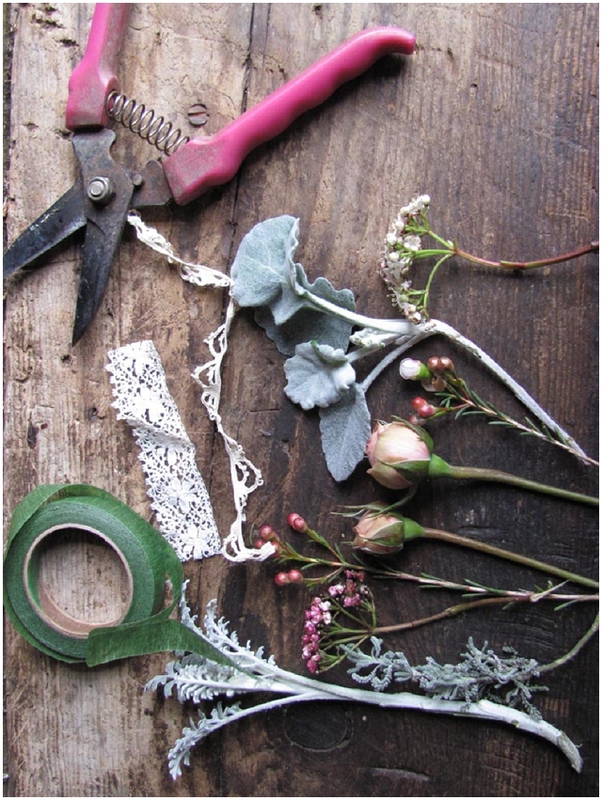 The materials you will need… Secateurs. 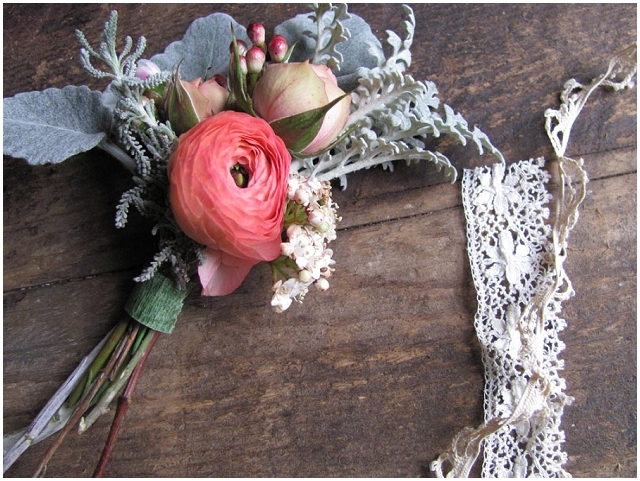 Paper florist tape. Vintage ribbon. Flower stems. 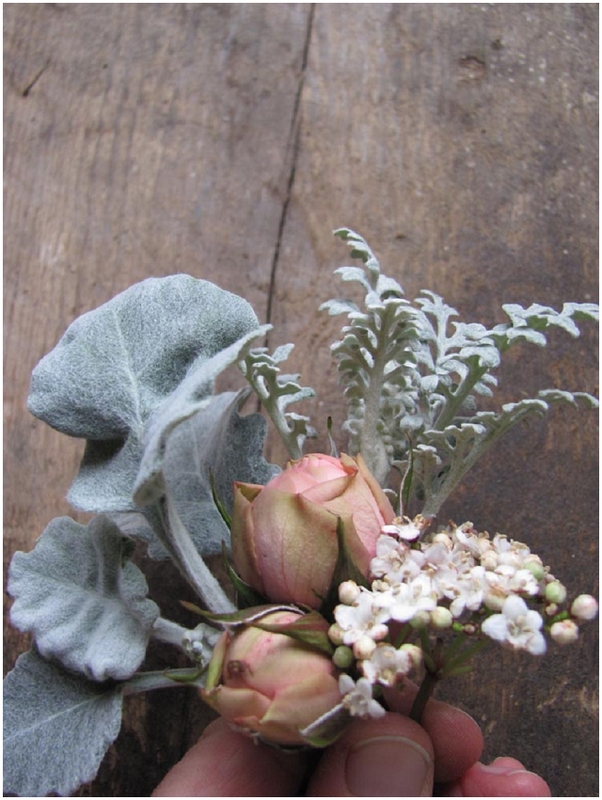 Start gathering your flowers by the stems and hold securely. Keep adding stems until your happy with the look. 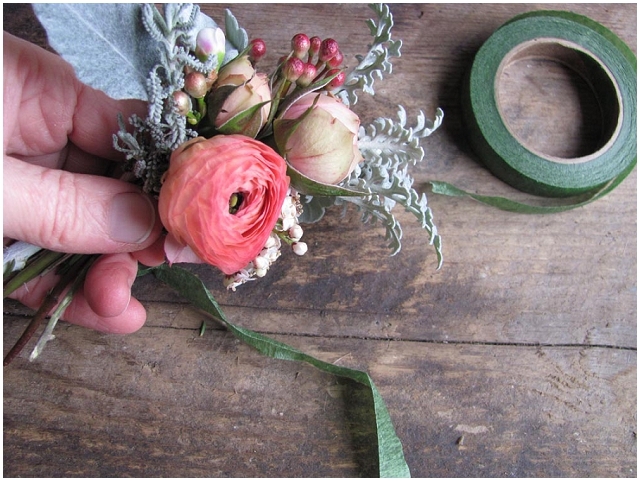 Secure the button hole with some florist tape. The papery version is better than the plastic one. Chose what ever type of ribbon you fancy to wrap around. 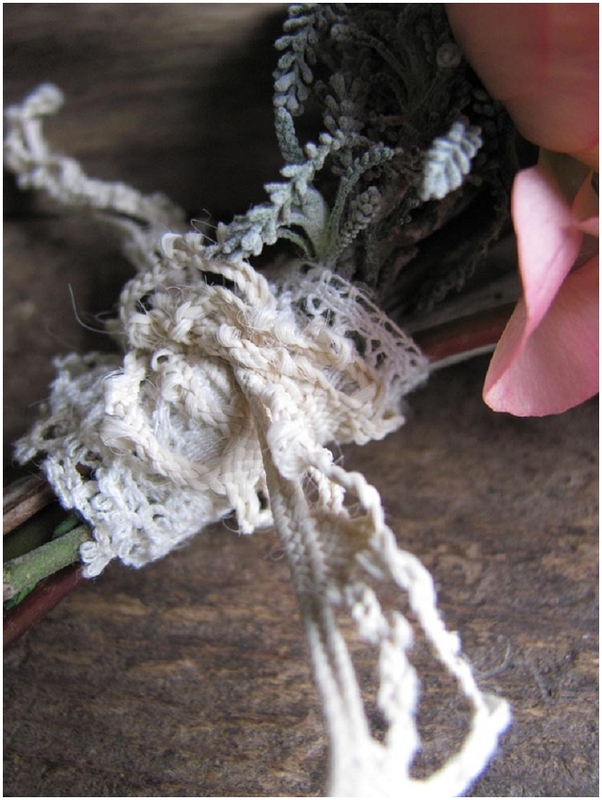 I’ve used vintage lace to go with the romantic look. Keep wrapping the ribbon around until you’ve covered the tape. Don’t forget your pin, you’ll need this to fix to your grooms lapel. And ta-dar… there you have it. 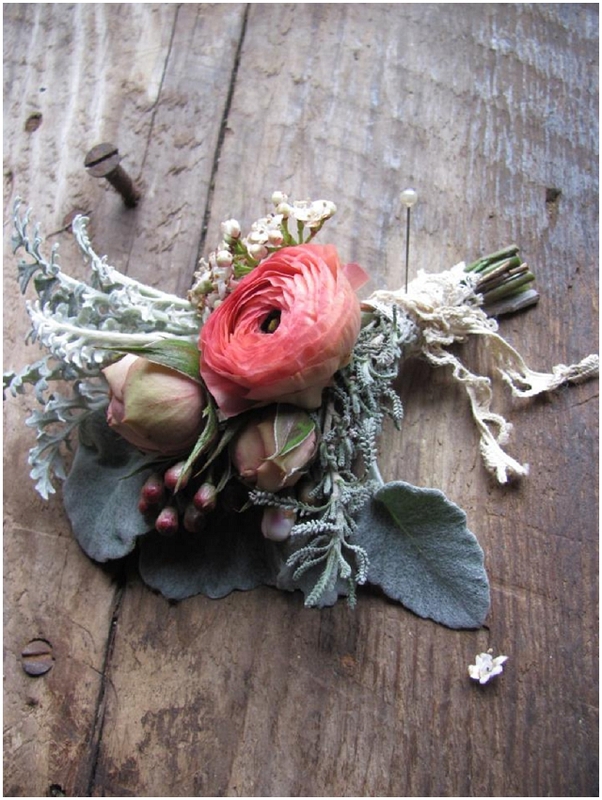 Your very own handmade, beautiful, vintage button hole! 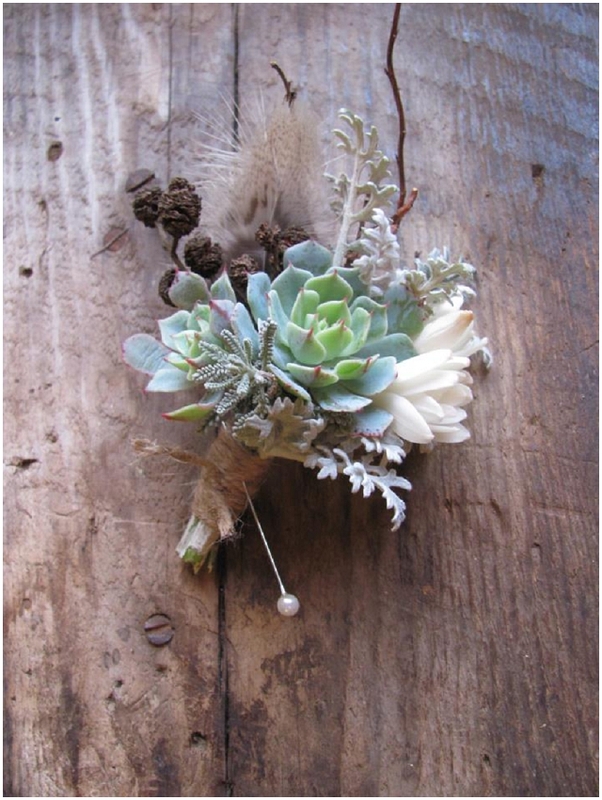 And I love this succulent boutonniere! So what do you think ladies? Are you gonna have a go? 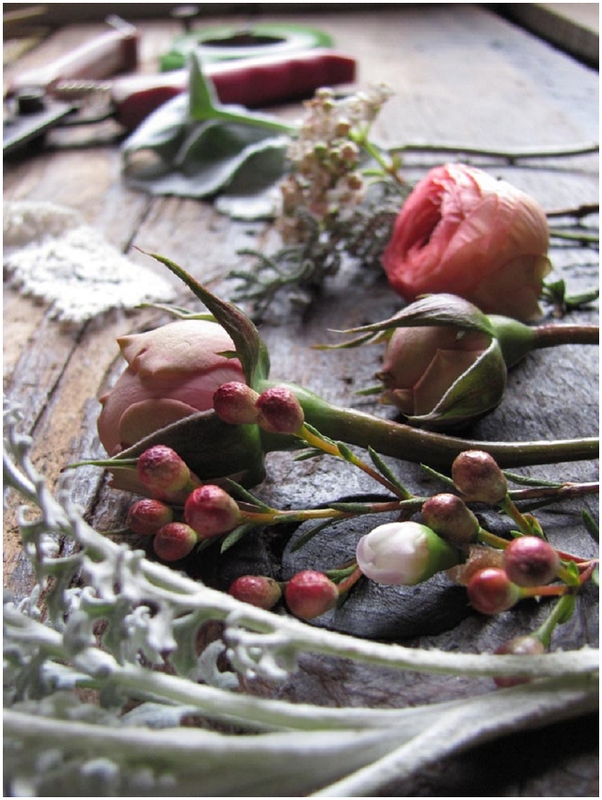 If you love this, you’ll also love Susanne’s DIY floral crown tutorial. Need more button holes inspiration?